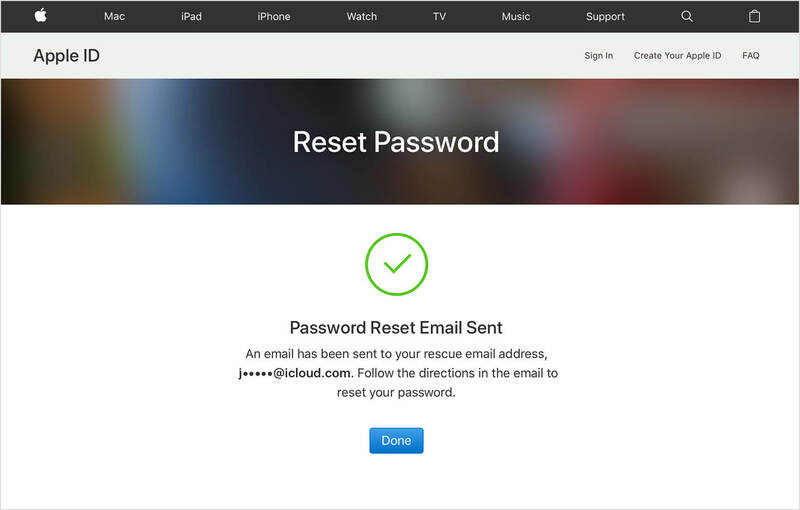 If you forgot the password to your Apple ID, gifted an iPhone with the previous owners Apple ID, have need to change your iCloud password, or forgot the answers to your Apple ID security question, then you need to perform an Apple ID password reset. If you’re having any of the above issues, and you need a guide to seamlessly reset your Apple ID, then this guide will help you to perform an Apple ID password reset. Method 4: Can You Delete Apple ID without Password? 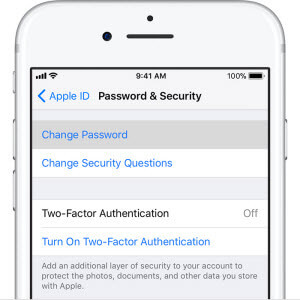 If you enabled two-factor Authentication when creating your Apple ID, you can reset your password only from a trusted iOS device with a passcode that’s enabled. Step 1. Launch Settings app on your iPhone, iPad or iPod touch. Step 3. Follow the onscreen steps to update your password. Note: The two-factor authentication method of resetting Apple ID password only works if you can access the backup device. If you can’t access these devices, you will not be able to reset your password. If you chose to verify your identity with email or answers to the security questions when resetting your Apple ID password, then you can follow these steps to reset your password. Step 1. Go to the Apple ID account page on your Mac or iOS device browser, and click “Forgot Apple ID or password”. Step 2. Enter your Apple ID, and select the option to reset your password and click “Continue”. If you chose “Get an email”, then proceed to your primary rescue email address, and follow up from there with the email sent to you to recover your password. Note: If you forgot the answers to your security questions, or can’t access your backup email, you won’t be able to reset your Apple ID password. The two-step verification is the most sophisticated identity verification process when resetting Apple ID password. It always requires you to provide the recovery key and a verification code. Step 1. Go to Apple ID account page on your browser, and click “Forgot Apple ID or password”. Step 2. Enter your Apple ID and select the option to reset password. Then click “Continue”. Step 3. 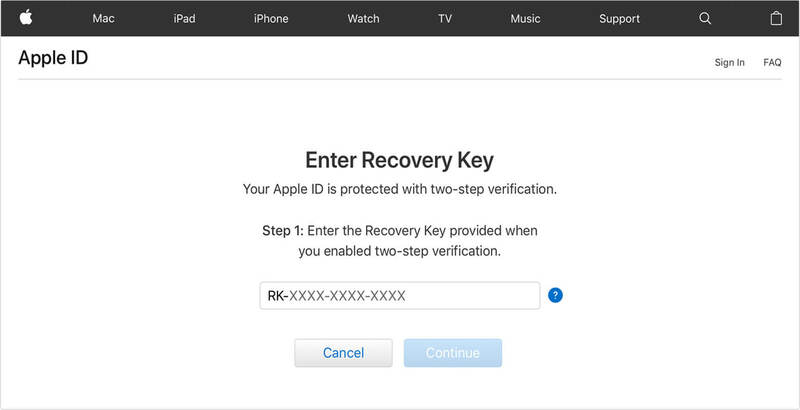 Enter your recovery key for two-step verification (this is the key provided when you enabled 2-step verification while creating the Apple ID). Step 5. Enter the verification code. Step 6. Create the new password and tap “Reset Password” to complete the process. Note: You may not be able to reset your Apple ID password if you can’t provide any of the requirements. Can You Delete Apple ID without Password? Yes, you can easily delete Apple ID without password even when you enabled two-factor authentication, two-step verification, or email & security question verification. 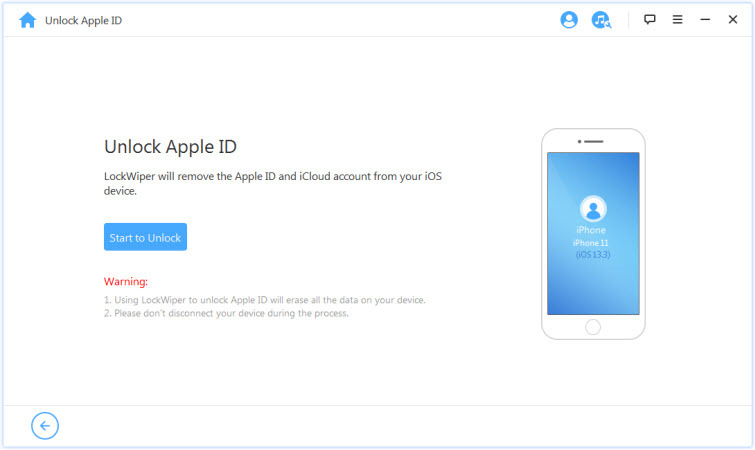 The solution to delete Apple ID without a password is a third-party unlocking tool called iMyFone LockWiper. iMyFone LockWiper can remove an Apple ID from iPhone or iPad to enable you to create a new one in the device. This tool does not have any restrictions and can work even when two-factor authentication or two-step verification are enabled. Instantly delete Apple ID from any iPhone/iPad/iPod touch without password. Various locks are supported, including iCloud account, screen lock, restriction passcodes, etc. Step 1. Download, install and launch LockWiper on your Mac or PC. Choose the “Unlock Apple ID” mode from the Home interface. Step 2. Connect your iOS device to computer. You will see the “Start to Unlock” button when your device is detected. Click on it. Step 3. 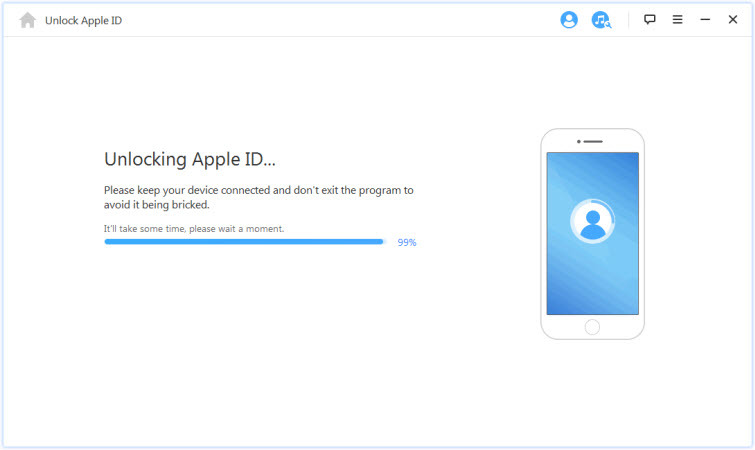 LockWiper will start deleting Apple ID from your device in a few minutes. Note: If Find My iPhone is enabled, you just need to perform reset all settings in “Settings > General > Reset” and the unlocking will start. 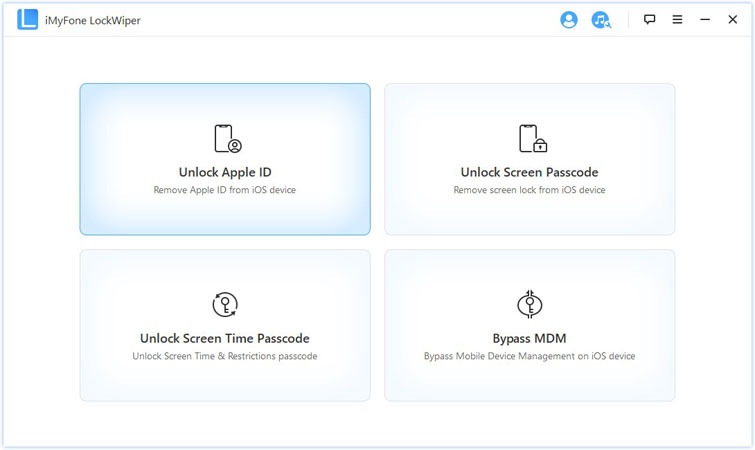 iMyFone LockWiper is very easy to use in resetting Apple ID password as it provides you with an onscreen guide throughout the process. Therefore, get a copy of LockWiper now to delete Apple ID and password from your iOS device.